Welfare state professionals decide or establish premises as to whom will receive what, in what manner, when and how much, and when enough is enough. They control who passes through the gates of the welfare state. 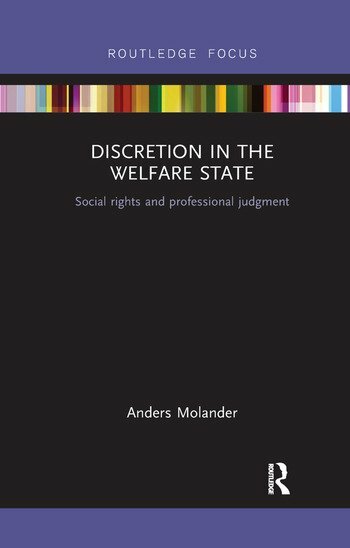 This book provides an in-depth understanding of the phenomenon of discretion. It shows why the delegation of discretionary powers to professionals in the front-line of the welfare state is both unavoidable and problematic. Extensive use of discretion can threaten the principles of the rule of law and relinquish democratic control over the implementation of laws and policies. The book introduces an understanding of discretion that adds an epistemic dimension (discretion as a mode of reasoning) to the common structural understanding of discretion (an area of judgment and decision). Accordingly, it distinguishes between structural and epistemic measures of accountability. The aim of the former is to constrain discretionary spaces or the behavior within them while the aim of the latter is to improve the quality of discretionary reasoning. This text will be of key interest to scholars and students in the fields of applied philosophy, public policy and public administration, welfare state research, and the sociology of professions. Anders Molander is Associate Professor at Centre for the Study of Professions, Oslo and Akershus University College, Norway.